The United Nations’ Sustainable Development Goals are an admirable set of targets set out to achieve a better world–but how do they interact with each other? Are some more pivotal to the success of all? Possibly. In a new paper, Nereus researchers Gerald Singh, Andrés Cisneros-Montemayor, Wilf Swartz, William Cheung, J. Adam Guy, Tiff-Annie Kenny, Chris McOwen, Rebecca Asch, Jan Laurens Geffert, Colette Wabnitz, Rashid Sumaila, Quentin Hanich and Yoshi Ota created a framework to assess the relationships between different sustainable development goals. This team of Nereus researchers found that 38% of SDGs depend on the achievement of targets within SDG14, which addresses ocean sustainability, to succeed. Further, SDG14 is related to every other sustainable development goal. But, it turns out not all SDGs can co-exist peacefully; several tradeoffs were also identified by the study. “Within the idea of the SDGs is this nested assumption that they are all complimentary,” said Singh. “But that’s not the case. They don’t all necessarily work together.” Singh’s new framework identified several potential points of tension between the ocean SDG and the others. For example, creating marine protected areas may impede coastal people’s access to local marine resources. This could limit progress on SDGs that aim to end hunger and diminish disparities that affect people experiencing poverty. Similarly, ending overfishing and harmful fishing subsidies could contribute negatively to decent work and economic growth. But these tradeoffs aren’t set in stone. “If you were to decrease levels of overfishing, in the short term, you’d be creating regulations that would probably put some people out of work,” Singh conceded. “But in the long term, that could switch. If you include alternate employment opportunities in your plan for reductions in overfishing, you could potentially reduce the impact of this tradeoff.” In fact, all seven of the tradeoffs that Singh and his colleagues identified were defined as ‘context-dependent’, meaning that they aren’t guaranteed. With proper and attention paid to context, the tradeoffs Singh and colleagues identified don’t necessarily have to manifest at all. 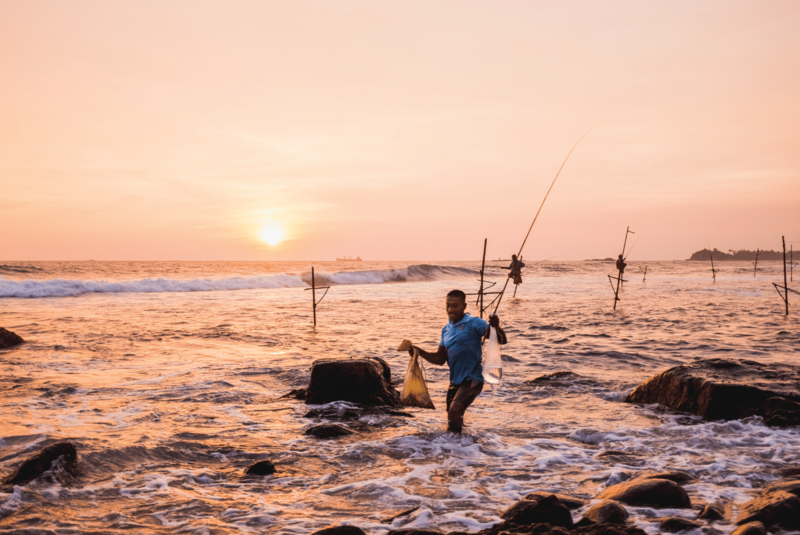 The Oceans goal (SDG14) has already been shown to have significant co-benefits with other SDGs, especially with regards to social equity and climate change (see the Nereus report Oceans and the Sustainable Development Goals: Co-Benefits, Climate Change and Social Equity). It may even be one of the widest-reaching goals with the fewest tradeoffs, but the framework Singh and his colleagues developed here would need to be applied across all SDGs to be certain. The framework can be applied to other goals at both national and regional scales to help determine how governance needs to be modified to achieve various SDGs. Nereus researchers have started applying the SDG framework at the national scale in Aruba, engaging with the government to help prioritize policy that supports sustainable marine development. In Aruba, the vast majority of the economy is based on coastal tourism. This makes ocean issues a priority for the government. “In this paper we were specifically looking at how the oceans support other SDGs. We did the same for the Aruban context, and we also reversed it so we look at how the other SDGs support the ocean,” said Singh. Using the framework in this way can inform integrative policy by determining which SDG areas should be prioritized to support sustainable oceans. Special thanks to Gerald Singh for expert input.